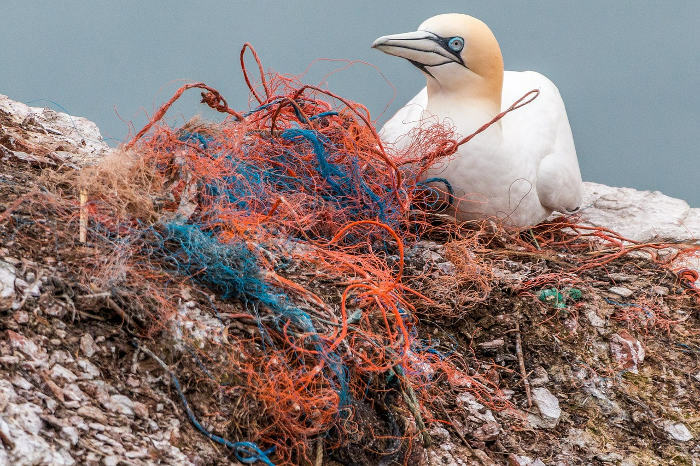 Our once bountiful seas are under threat from the plastic menace. Simon Barnes finds out how Britain’s small island communities are rallying to protect our marine life, in this article from The Times. Walk along the tideline. Any beach will do, anywhere in the world. This one was at North Berwick, overlooking the Firth of Forth, with the extraordinary gannet colony of Bass Rock clearly visible out to sea. Beyond us the great air force of gannets banked and plunged. But we were supposed to be looking down, not up, and we found what we were looking for. Alas. We were looking for nurdles. That’s what they call them at Fidra, which is a small NGO based here, named for the island in the Firth that’s said to have inspired Treasure Island. The plastics industry calls them preproduction plastic pellets. Billions of them are used every year, for nearly all plastic products. With spills and mishandling, masses of these tiny beads end up in the sea. Whose sea is it anyway? That question has suddenly shot up the political agenda. Is the sea a private place to be divvied up between the government and big business? Or do we all have a share? Call it Blue Planet syndrome. The wildlife documentary series Blue Planet II, with commentary from the incomparable David Attenborough, was the most watched television programme in the UK last year, attracting 17m viewers. The most emotional issue in the show was plastics. Every year an estimated 8m tons of the material ends up in the oceans. There was footage of albatrosses feeding their chicks with plastic, we saw a mourning pilot whale carrying her stillborn calf, there was a hawksbill turtle entangled in a plastic sack. Michael Gove, the environment secretary, said he was “haunted” by the images. In January, the government announced a 25-year environment plan that stresses the conservation of the oceans. It’s long on ambition, if short on legal guarantees. The prime minister, Theresa May, announced plans to cut plastic waste pollution, pointing out that one-third of all fish caught in the English Channel contained pieces of plastic. The Marine Conservation Society held a nationwide beach clean-up and reported 718 items of rubbish for every 100 metres of beach. Read the full article at The Times.